Last Friday, I read to my kids Olive and the Big Secret, and they really liked it but to my surprise I think the parents loved it way more! I came across this book at my local library and thought it would be a great book for my storytime group. So basically, Olive and the Big Secret, is a book that talks about the dangers of telling a secret that’s not yours to tell. This book is full with fun colors and big pictures so that kids can understand what’s going on in the book without reading it. This book surprised me in many ways even while I read it out loud, the story developed quite nicely and the kids enjoyed it but what truly surprised me was that the parents were the ones that were most excited about the story. The story starts when Molly tells Olive a secret and she tells her that she can’t tell anyone. From that moment on, the parents and kids were hooked and I even got some responses from the parents saying comments like “Yeah…That’s how it all starts!”. As the story kept unfolding, Olive broke the promise by telling one of his friends, and his friend also told one of his friends and so on and so on. As the secret kept going around from animal to animal the parents and kids got way more nervous and anxious. Almost towards the end I heard one of the child’s dad exhale and he said “Wow”. At the end, the book asks the readers if they want to know the secret and everyone yelled “YES” which the book replies to “I want to tell you but, IT’S A SECRET!” and everyone at storytime replied with an “Awww” and then everyone burst out laughing and clapping. This book has been one of the best books I have read in my storytime so far. It was great to see the parents enjoy it as much if not more than the kids. This is an awesome book with a great message on the negative consequences on gossiping and I believe everyone will love it! You will have a blast reading and they will have an amazing time listening. The first two steps must be done by an adult. 1. 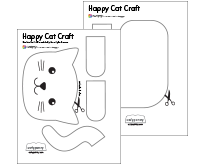 Print the Happy Cat Craft template on construction paper. You will need 2 construction sheets of your favorite color, this will be the cat’s body color. You might need to check in what order your printer prints, so that way you can place the pages in the correct order. If you do not have colored construction paper, you can always print them on regular paper and have the children color the craft with crayons. 2. Cut the Happy Cat craft along the grey line. Cut inside of the line so that there are no grey marks left after cutting. You don’t have to be perfect. Most kids will still love their craft! The last two steps are for the little ones! 3. 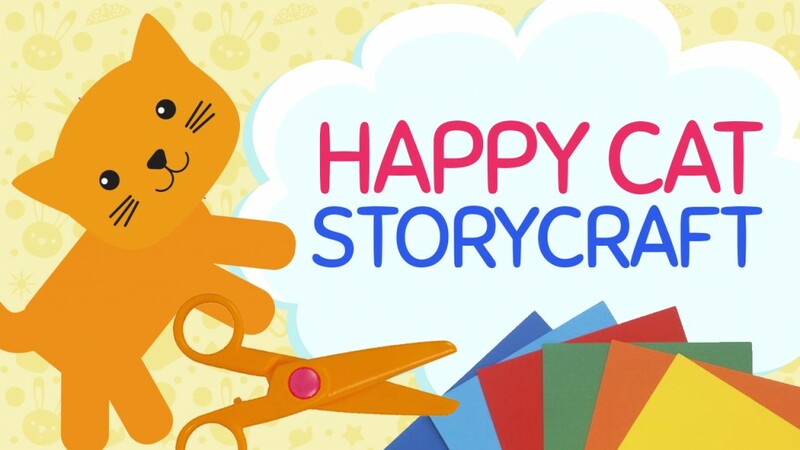 Let the kids glue the Happy Cat craft together, assist them if they need help, but remember, it’s their craft! It’s totally OK If the children want to glue the ears or legs or arms or tail on the ‘incorrect’ part of the craft, if that’s what they wish to do. They need to be able to express their creative freedom! Kids LOVE glitter, adding glitter to their craft will make the kid’s craft unique and will allow them to express their creativity. Hello, my name is Pam! I love reading picture books and creating crafts for children. I also love coffee shops, crepes & going to Disneyland! Welcome to CraftyPammy, I'm so glad you're here! I'm Miss Pam. 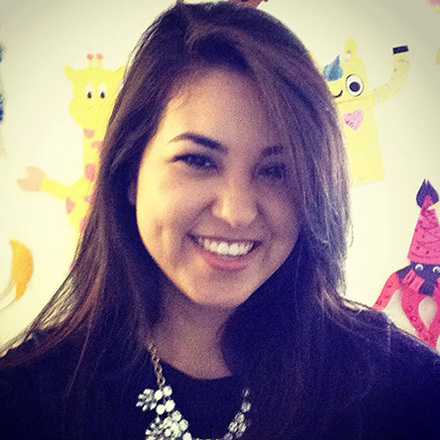 A storytime library specialist with a love for children, books, crafts, coffee & everything Disney! I hope you enjoy all the content & resources available in my site. Visit Crafty Pammy's profile on Pinterest.